Happy Wine Wednesday everyone and welcome to the Wine of the Week featurette. Another tasty, well made Nebbiolo from Langhe and a great find that sells most places for under $20. If you're a fan of zippy acidity, cutting tannins and just the right amount of ripe fruit then you're in for a treat. 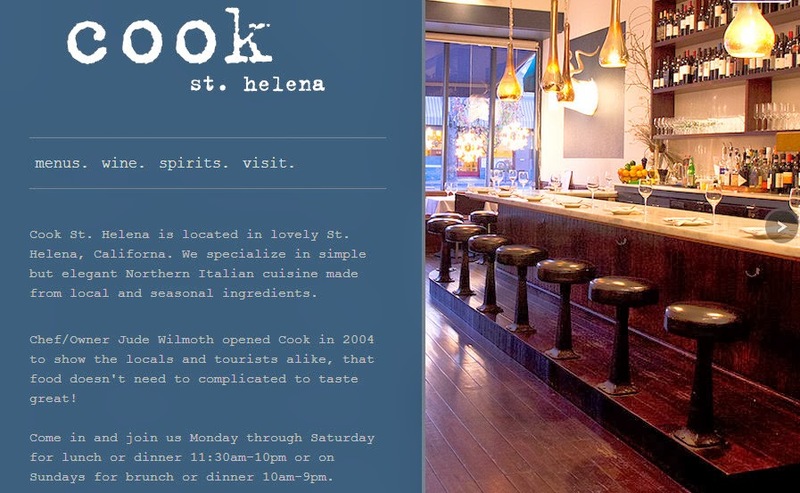 I had initially done a quick, down and dirty review via Delectable on this little Piedmontese gem I discovered at Cook, a fantastic locals hotspot located in lovely St. Helena. But I fear, my vino-sapiens nature took over a bit as I did a bit of 'bogarting' the Nebbiolo. It's a great place to grab a bite, anytime. I choose two wines from their menu, and both were rock solid performers, both reasonably priced food pairing champs, which compliment their menu selections quite nicely. I had dinner there with new friends John and Felicia Tudal, which made for an excellent evening of off-the-record conversations. We came in through the back door, waited a few moments for our seats, rustled up a tasty white wine from Campania #WBTG, and eventually grabbed a few seats right at the bar, which you see pictured below. It was a memorable experience, very much like an idyllic scene from a movie, in a place where everyone knows your name. Below you see my initial thoughts on this tasty little number, but thinking back about this wine, I stand by those impressions and I'd invite you to seek this wine and give it a swirl for yourself. The wine won't blow anyone's hair back in a strict stand-alone tasting. But when paired with the right foods, like those on the Menu at Cook, you'll see why I'm at least 88 points this wine. It's a food pairing champ, and instead of getting in the way of what you're eating, it compliments every bite, nicely preparing the way for the next bite. Not only did it pair exceptionally well with my chosen dish, but it also paired wonderfully with the other shared dishes. It is easy, elegantly floral wine, with a nice interplay of dark and red berries, mild tannins hung over a taut but nonetheless lasting finish. 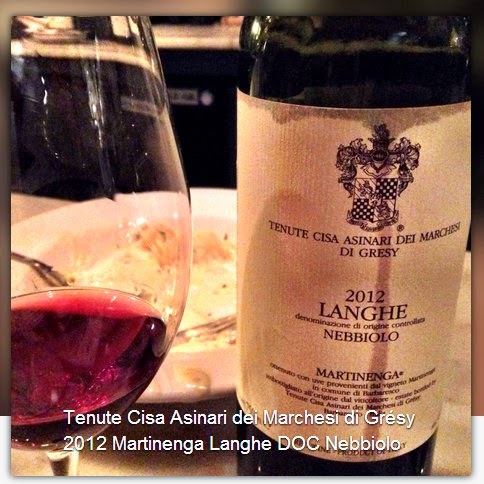 If you find yourself in St. Helena, by all means, do yourself a big favor, eat like a local at Cook and if a great wine pairing champ is on your mind, then a bottle the 2012 Martinenga Langhe Doc Nebbiolo will fill that need very nicely. Until next folks, remember life is short, enjoy the good times, live well, dine well and remember to sip long and prosper cheers!